Another bauble from J.K. Rowling’s wizarding world, Fantastic Beasts and Where to Find Them takes place in the same universe as the Harry Potter franchise. In fact, the story, penned for the screen by Rowling, occurs before the earlier films; and what’s more, audiences need not be familiar with the previous eight-part series to follow this entry. Rowling effectively introduces brand loyal viewers to a new corner of her imagination, located in New York in 1926, with plenty of connective tissue for devotees of the preceding, jealously British stories. Originally planned as a single spin-off, Fantastic Beasts contains too much moneymaking potential for a stand-alone feature. Rowling and Warner Bros. have since announced another four titles in the coming years. So while the film may seem relatively disconnected from Hogwarts and the Ministry of Magic, you can be certain connections will be made in future sequels. To be sure, Rowling’s penchant for spinning myths and building elaborate worlds remains one of her most appealing qualities as a storyteller. Over the course of seven books (and eight films), her desire to become increasingly grave and serious has enhanced her melodramatic fantasies. Readers and viewers spanning several generations could find something to identify with in either the child-friendly early titles or the more intense later stories, although the growing darkness discouraged some fans. Regardless, Fantastic Beasts seems to start somewhere in the middle, at times being playful, while also harboring a dark streak that earns the film’s PG-13 rating. Appropriately, David Yates, who helmed the last four Harry Potter films, returns for directing duties and will likely oversee the remaining four Fantastic Beasts titles. Where Rowling falters this time around is her new hero, Newt Scamander (Eddie Redmayne), a loner wizard with mopish hair who arrives on Ellis Island by boat with a suitcase full of zoological specimens. The story keeps Scamander and his purpose in America a secret for the first half of the film (and quite inconsequential once it’s revealed), relying instead on a mishap in which his suitcase is mistakenly exchanged with that of Kowalski (Dan Fogler), the film’s comic relief. A lowly working stiff with dreams of opening his own bakery, Kowalski is a “no-maj” (the U.S. version of England’s “muggle,” the term for a person without magical powers) who inadvertently unleashes several of Scamander’s animal friends in New York. This alerts Tina Goldstein (Katherine Waterston, charming), an investigator for the Magical Congress of the United States of America. 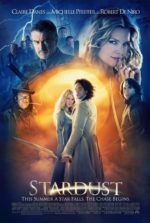 Scamander and Tina join forces with Kowalski, and also Tina’s flirty sister Queenie (Alison Sudol), to recover the missing animals. Meanwhile, Rowling saturates Fantastic Beasts with subplots and hints at more important things to come. 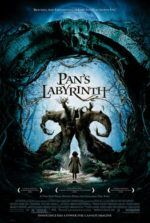 Mary Lou Barebone (Samantha Morton), a child-beating zealot, rallies a pack of witch-hating children that believe wizards live among us and must be stopped. 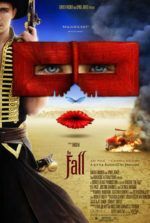 But her creepy son, Credence (Ezra Miller), secretly works with Percival Graves (Colin Farrell), head of the American wizard police, toward some hidden and nefarious purpose under the nose of the magic world’s president (Carmen Ejogo). On the periphery, there’s the Shaw family, headed by a William Randolph Hearst-esque mogul played by John Voight, who finds a reason to bear a grudge on magic-folk. All of these characters are somehow connected to the Obscurus, a mysterious dark cloud that has wreaked havoc on New York, and which Graves is quick to blame on Scamander. And what should audiences make of the vague allusions to Gellert Grindelwald, an evil wizard who will apparently serve as this franchise’s Voldemort, as he wants a war between humans and magic-folk? Amid all the talk of war and prejudice that looms over the proceedings, Scamander seems uninterested and focused on his creatures. His single-mindedness in this regard remains admirable, but in terms of storytelling the character neither grows nor accomplishes much throughout the story. Redmayne plays Scamander with soft-spoken dialogue and unnerving physical quirks, evoking many of the same eerie qualities he had in Jupiter Ascending. But his character doesn’t make much of an impression for a protagonist, since Scamander feels like a supporting character who has been forced into a protagonist role, despite the plot using him as a device—the impetus on which Fantastic Beasts exists. Aside from some comic relief involving rather cute CGI creatures, including a platypus-like scamp with a penchant for riches, our hero seems very detached from and uninvolved in the larger conspiracy. More compelling is Tina, who we barely get to know. Yates delivers an overcomplicated story without much sense of wonder for the world these characters inhabit. Scamander’s fantastic beasts prove cute enough, but the two scenes with a hippogriff in Harry Potter and the Prisoner of Azkaban outcharm the entire animal kingdom of Fantastic Beasts. The salty elves peppered throughout the film, one of them a seedy trader played by Ron Perlman, also deliver some smiles. Elsewhere, Yates’ approach adopts a very polished, if very uninspired look. Everything onscreen has a glossy, computer-generated sheen that makes 1920s New York look like a green-screen backdrop. Worse, the action sequences edited by Mark Day feel choppy, as American wizards and witches apparently do not use brooms to fly—they teleport everywhere. The abrupt disappearing and reappearing of characters from one moment to the next lacks a firm sense of space, especially in a final battle sequence when all the teleporting leaves the viewer bewildered to the point of disillusion. By the climactic scenes, the viewer begins to suspect that Fantastic Beasts was rewritten mid-shoot to accommodate the inevitability of future sequels. The story seems split between an elegant and simple one about a man searching for his missing beasts, and a messy and more complicated one about Grindelwald, who echoes Donald Trump in some frightening ways. 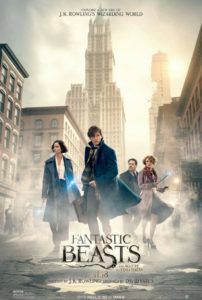 Indeed, the degree of thematic intolerance and prejudice throughout the film suggest the title’s “Fantastic Beasts” are not animals but narrow-minded humans. Regardless, the two strains never come together in a satisfying way, and the viewer remains unaffected by both. Rather than starting simple and building character dynamics as she did with the Harry Potter series, Rowling throws her audience into the fray without developing personalities we grow to love. As a result, Fantastic Beasts feels underwhelming, if diverting for the duration.